Look no further, this updated 3 bedroom 1.5 bath home is located in quiet established neighborhood on a cul de sac, yet close to GM, expressways, shopping and restaurants . 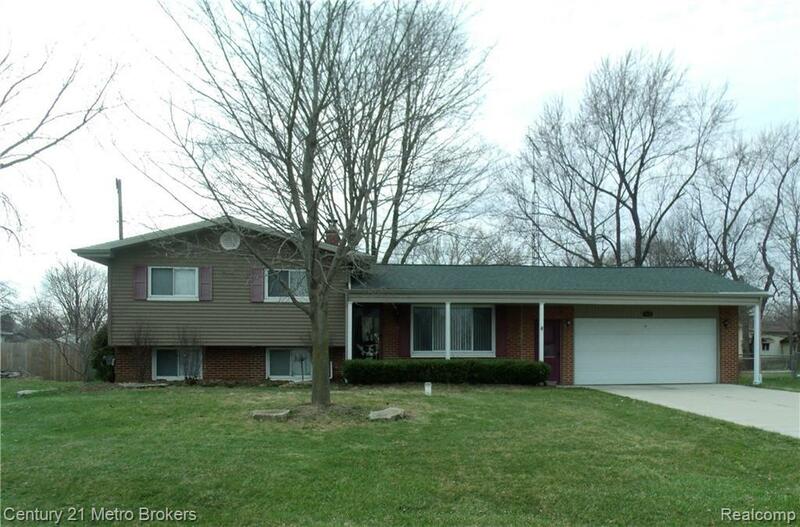 This updated tri level is clean and move in ready. The kitchen features, loads of storage, island, breakfast bar, buffet, dishwasher and all appliances, slider leads to the deck in the fenced in backyard. Living and family rooms, with built-ins and surround sound system stay. Attached 2 car garage, covered porch, cement driveway, recessed lights, ceiling fans and central air are just a few more of the many amenities this home features. Pre Approved buyers schedule your showing today! IDX provided courtesy of Realcomp II Ltd., via Century 21 Metro Brokers and Realcomp, ©2019 Realcomp II Ltd. Shareholders.